Calling all baseball and softball parents! Opening day is this week. However, in the south, little league has been playing for weeks. If you need a snack idea or you want a little surprise for the team at the end of the season, I've got an easy and cute idea for you. While browsing at Five Below last year, I found the baseball Big League Chew and couldn't pass them up. I also wanted to add something with my son's team name, so I found these little plastic hats that double as an ice cream bowl off Amazon. They have a variety of the major league teams. Lastly, nothing says baseball like Cracker Jacks. You can also find these on Amazon since I wasn't able to find any at the local grocers. 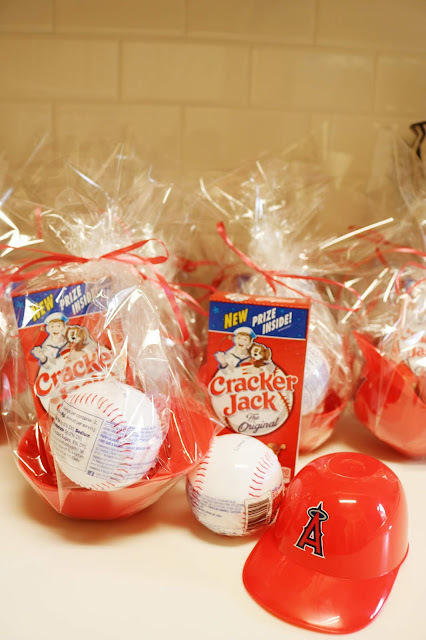 Tie them up with cellophane and ribbon and you have yourself a fun baseball treat. 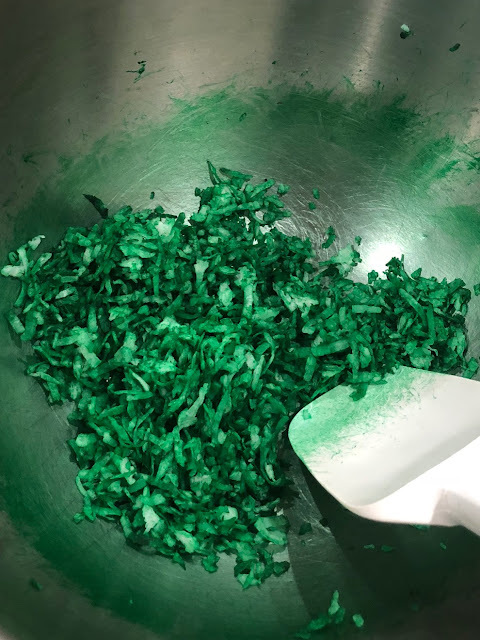 Here's a fun, sweet treat for your kids to share on St. Patrick's Day! Notice, I said "share" unless you are okay with your kids bouncing off the walls! If that's the case then, bottoms up! 1/4 tsp. of green food coloring. I added a donut, rainbow candy, and cotton candy. However, you could add any rainbow candy or green topping like candy or sliced fruit. And if looking at this puts in you in a sugar coma, fear not, I have our favorite green smoothie recipe too! This view of downtown Dallas is from the rooftop bar at the NYLO hotel. Lava Cantina (5805 Grandscape Blvd. The Colony) Check the schedule for many nights of live music, specials, and Sunday brunch with live Jazz through March 31, 2019 kids eat free. Legacy Food Hall (Legacy West, Plano) This upscale food hall also has a good size outdoor concert area where you can nibble on a variety of amazing food, enjoy a drink, and watch live music. Outdoor heaters are available during the cold months too. Click the link for a schedule of their entertainment and many events. Eight11 Place (7080 Main St. Frisco) This one of a kind restaurant and bar has a warm and cozy outdoors and indoor seating. Live music, good food and great drinks. The outdoor tables have small fires which make it the perfect spot to order their s'mores board and go to town roasting your own Marshmallows. The Rustic (3656 Howell St. Dallas 75204) This is one of Dallas' must visit spots. Local craft beers, great drinks, home style meals made by locally sourced ingredients, live music from local and national bands. You can't go wrong with this venue for live music and fun. Post Time Honky Tonk(3650 N Buckner Blvd Ste 100 Dallas) If you are looking for a good, country western bar with cheap drinks, great music, and dancing, this is the place to go. The crowd is more mature and the attire casual. Watters Creek (Allen, TX) During the warmer months Watters Creek has great live music in a nice open atmosphere. You can also visit the plethora of shops and dining choices. Texas Star Dinner Theater (Grapevine and Fort Worth) Visit this long running and awarded murder mystery dinner theater. Shows every weekend. $60 per person (without gratuity) includes dinner and the 90 minute show. Soda and alcoholic beverages are also available through the show for purchase. This interactive wild west show will keep you entertained and provide lots of laughs. The Salt Retreat (2552 Stonebrook Pwy. #925 Frisco, TX) Do you suffer from allergies, asthma, anxiety, or skin conditions like eczema? Clink the link to find out more about salt therapy and how you can try it. Take some to kick back in their comfortable recliners, breathe, and close your eyes. I promise this will be a very relaxing experience, and they give a discount to first time visitors. DFW Surf (Little Elm Beach) Rent a kayak or paddle board and enjoy Lake Lewisville. You can rent a 2 person kayak for $35 an hour. They also have paddle board classes on Saturday afternoons for $60. Delta Charlie's (5303 Challenger Dr. Dallas) How about a romantic private plane ride around downtown Dallas while enjoying a delicious 3 course meal?! FYI: Check Groupon for a great deal! Whirly Ball Plano (3115 West Parker Rd, Plano) Whirly Ball is a combination of basketball and lacrosse in bumper cars. 1 person can play 30 minutes for less than $10. This would be a fun option for a group date. Six Flags Over Texas (Arlington, TX) Not just for kids, if you love roller coasters, this is the place to go. Thrill rides, games, and junk food. 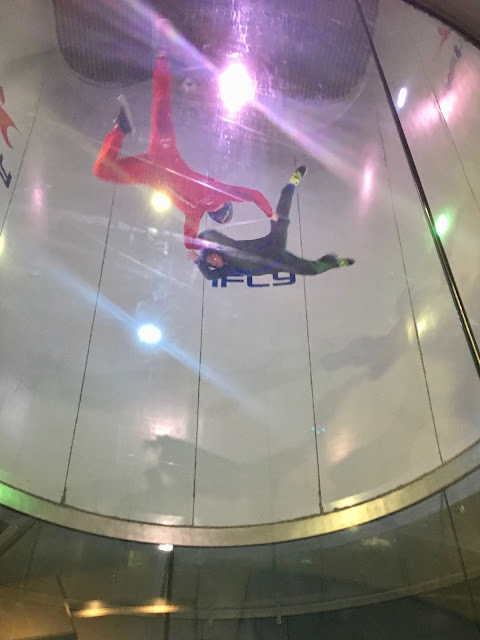 Zero Gravity Thrill Amusement Park (11131 Malibu Dr. Dallas 75229) If you are really brave and up for bungee jumping, the Skycoaster, Texas Blastoff and more, give this place a go! Kartland Indoor Go Karts (10550 John W. Elliott Dr. #100 Frisco 75033) Fast, indoor, European go karts are sure to provide lots of excitement. Go Ape Zip Line and Adventure Park Plano (5901 Los Rios Blvd. Plano, 75074) Take a 3 hr adventure through the forest canopy through suspended obstacles, a tarzan swing, and many zip lines! Open year round, but check their site for times and tickets. Adult tickets are $59 per person. Sign up for their newsletter or check Groupon for discounts. IFly Dallas Indoor Skydiving (8380 SH 121 Frisco) This needs to be on your bucket list! See what it feels like to fly! Red Door Escape Room Plano (Plano, Southlake, & Fort Worth) Best rated escape room in the DFW area. Do you have what it takes to escape? Dave and Busters, Pinstack, Mainevent, Free Play Richardson Bring out your inner child and play video games, bowl, laser tag, and old school games. Menu options and adult beverages are available too. Dallas Axe Throwing (suite 440, 715 N. Glenville Dr., Richardson 75081) The latest activity for couples, corporate events and parties. Come and see if you can throw the axe at the target. Frisco Gun Club Classes (6565 Eldorado Pky. Frisco 75033) Whether you have never held a gun, are an experienced shooter, or in between they have a class for you. South Fork Ranch Trail Rides (3700 Hogge Dr. Parker, TX 75002) See the ranch where the 1980's hit show Dallas was filmed and take a trail ride. SouthFork Ranch offers trail rides daily at 10am, 11:30am, 1pm. 2:30pm, and 4pm. Riders must be at least 8 years old, 48'' tall, and not exceed 240 pounds. Closed-toe shoes are required for all riders. Widow Maker Trail Rides (2301 Cedar Springs Road #200 Dallas) You can take a 2 hour ride with this highly rated business. 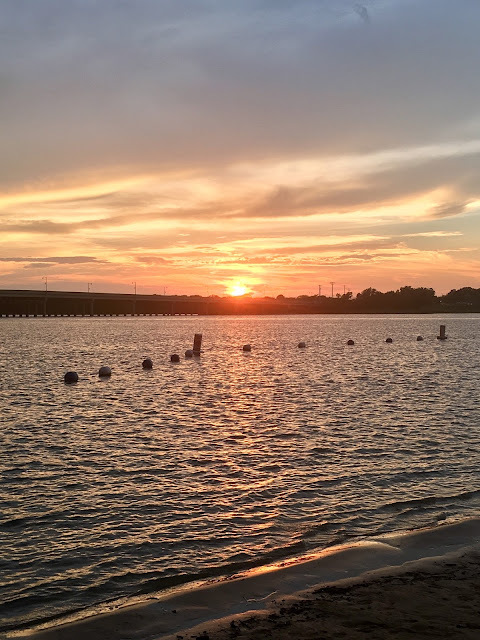 Ride through forest trails and along the edges of Lake Grapevine. Fort Worth Stockyards Stables and Horseback Riding (128 E. Exchange Ave. Fort Worth, TX 76164) 20 minute arena rides, 30 and 60 minute trail rides along the historic Chisholm Trail. Open 7 days a week from 10:30am-5pm. 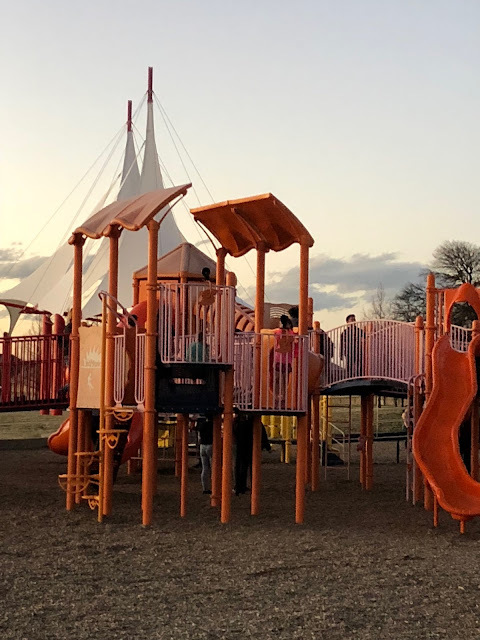 River Ranch at Texas Horse Park (811 Pemberton Hill Rd. Dallas 75217) Pony rides, trail rides for beginners up to advanced. Parties, events and 1 hr trail rides start at $55 per person. Dallas Comedy House (3025 Main St. Dallas) This comedy club is in Deep Ellum so you can make a whole evening out of visiting some of the great restaurants, bars, and shops in the area. Hyenas Comedy Club (Locations in Dallas, Fort Worth, and Plano). Lots of great shows and Thursday nights are free admission! Backdoor Comedy Club (N. Central Expy. Dallas, TX 75206) Voted best comedy club by D magazine and Dallas Observer. The Comedy Arena (305 E Virgina St. #204 McKinney, TX 75069) Improv, sketch, standup, and classes on how to become a performer are offered here. Arbor Hills Nature Preserve (6701 W. Parker Road, Plano 75093) One of my favorites. Paved trails, unpaved nature trails, 200 acres of creeks, paths, and open spaces. You can easily forget you are just a couple miles from the Dallas Tollway. Prairie Creek Waterfall (park on West Prairie Creek Drive, Richardson, TX) Okay this doesn't exactly qualify as a hike but you can take a nice walk to this beautiful waterfall and have a picnic. Cedar Ridge Preserve (7171 Mountain Creek Pwky Dallas, 75249) Highly rated park trail located south west of Dallas. Closed on Mondays. Trinity River Audobon (6500 Great Trinity Forest Way, Dallas, TX 75217) Free admission on the third Thursday of every month. 5 miles of trails through wetlands, prairies, and forest. Indoor exhibit, lots of birds and possible animal sightings. Heard Museum and Wildlife Sanctuary (1 Nature Place, McKinney, 75069) Shorter hiking trails, lots of wildlife, no pets allowed. Great indoor exhibit. Katy Trail Dallas (multiple entry points, click the website and location for more details) You can walk, run, bring your own bikes, or rent bikes and enjoy this paved trail that runs through the city. If you get hungry or want a cold drink, just stop at the Katy IceHouse along the trail. Or, you can do what we did, and head over to El Bolero in the design district for one of their famous oilman margaritas and sample some of their quality Mexican cuisine. Top Golf (locations in Dallas, The Colony, Allen, and Fort Worth) Practice your swing, eat, drink, and hangout in this popular 3 story venue. American Airlines Center 2500 Victory Ave. Dallas TX 75219) Catch a Dallas Mavericks or Dallas Stars game. Lots of great concerts held here too. Check their calendar. Frisco Rough Riders Baseball (Dr. Pepper Stadium Frisco) During the summer months you can watch this AA team play right from their own lazy river in the stadium! FC Dallas soccer (Toyota Stadium Frisco) Catch a soccer game and see the brand new soccer Hall of Fame museum. Allen Americans Hockey (Allen, TX) If you are in the mood for a hockey game but don't want to drive down to Dallas, check out the schedule for the Allen Americans. Texas Legends Basketball (Frisco, TX) Check out this affiliate of the Dallas Mavericks for a great game at the Dr. Pepper arena. Great promotions all the time like $5 Friday game tickets and $1 beers on Wednesdays. Mitas Hill Vineyard (2300 Vineyard Hill Lane, McKinney) Enjoy Texas wine indoors or outdoors on the patio overlooking their vineyards. Wine flights, wood fired pizza, salads, appetizers, and vineyard tours available. The wine bar and tours are closed for winter. Landon Winery (McKinney, Wylie, and Greenville locations) Sample and sip locally made Texas wines. Check their calendar for live music and events. Sixty Vines (Plano and Uptown locations) Choose from many great wines on tap! They have a fantastic menu and the decor is modern and sleek. A personal date night favorite. Union Bear Brewing (Granite Park in Plano) This large venue offers plenty of parking, indoor and outdoor seating, & Plano brewed beer. Delicious menu and brunch on the weekends! Deep Ellum Brewing (2823 St. Louis St. Dallas) If you have lived in the Dallas area for awhile, you have probably seen Deep Ellum beer in your local grocer or restaurant. Come and visit this hip and lively brewery to see where all the magic happens. Sur la Table (Preston Royal Dallas) Check out their calendar and see all the different recipes you can whip up together! Central Market Cooking School (various locations) The popular grocery store also offers cooking classes. Taste Buds Kitchen (Plano) BYOB and make a few recipes. Private parties available too. Local Yocal Steak 101 (McKinney, TX) Classes held on Saturdays during the months of March-July and then September-November. $75 pp for this 2.5-3hr class/information session that concludes with sampling many of their great steaks. Tre Wilcox Cooking Concepts (Plano) Prep and plate a 3 course meal or take a couples cooking class with this well known chef. Classes fill up quick so schedule your spot today! Relache Spa Marriott Gaylord Hotel Grapevine (1501 Gaylord Trail Grapevine 76051) Enjoy a variety of spa services and relaxation together. Spa Castle Texas (Carrollton and Dallas) There are mixed reviews on this place but many good ones too, so you decide if it's worth a shot. Saunas, pools, spa services, resting lounges, workout facilities and dining. Uni Sole Reflexology (Main St. Frisco) I have seen many places like this all around Dallas and wondered about them. From what I read, you could get a good massage for around $35?! I had to try it. If you are looking for an upscale spa with amenities, this is not your place. However, if you are looking for a good massage that doesn't break the bank, this is it. I opted for the 70 minute massage, reflexology, and hot stones for $45 (without gratuity)! NOTE: This was a special so please call and check ahead of time. However, the regular priced massages were very similar in price. It was fantastic. I left feeling refreshed and will be back. They have a large room where couples, friends, and groups can all enjoy their services together. 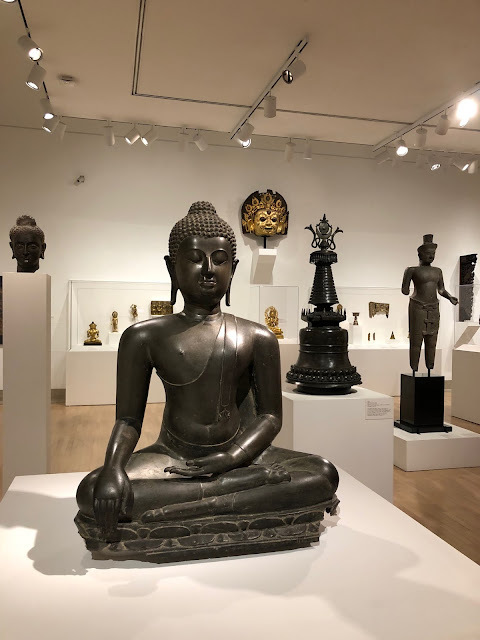 Dallas Museum of Art (1717 N Harwood, Dallas) First of all, the admission to this museum is FREE. If you are not into art museums, I really encourage you to give this a chance. An art museum is not my idea of fun, but I gave it a try and was very impressed. This large museum has many interesting and great pieces of art. They have a cafe with good food for reasonable prices. Dallas Arboretum (8525 Garland Road, Dallas, TX) This is a must do if you are visiting, just moved here, or have never been. Take a nice stroll through the many gardens here. This place is beautiful in the spring, summer, fall, and winter! Lots of events occurring weekly. Painting With Influence (1014 S Broadway Ste 104, Carrollton, TX) Check their calendar for water marbling, pottery, painting, and fused glass classes. BYOB and they take care of the rest. The Dark Hour Haunted House (Plano, TX) Open year round. Check their website for times. I have only visited around Halloween but out of all the many haunted attractions I have visited (around the country), this is in the top 3. Hold on tight to your partner! Ghosts of Denton (Denton Square, TX) On Friday and Saturday nights through MOST of the year (check the site for more details) you can take an entertaining, educational, and spooky 90 minute walking tour through Denton Square. For $15 a ticket, this is well worth it. Fort Worth's Ghost Bus Tour (Fort Worth, TX) Board an air conditioned or heated bus with a themed cocktail in hand if you like, and sit back for a spooky and educational tour of Fort Worth's mystery, madness, and mayhem. Tours and Thursday-Saturday 7 and 9pm. Tour ticket is $25 and a tour ticket with cocktail is $31. Party inspiration can come from anywhere. This whole party was inspired by a $3 dinosaur banner I picked up from Target at the dollar spot last month. I added the red heart stickers to spice it up for the holiday. Valentine's Day and Dinosaurs! What could be more fun?! Don't let this T-Rex fool you, he wants to be your "friend-a-saurus"! Another inspiration I had was from What Happens At Grandmas and her dinosaur table. I have always loved this idea and have been waiting for the right time to implement it. I washed a sheet of plexi glass I found off a framed poster I had in the house. You can use any cut glass or plexi glass placed on top of green or floral print paper. I also added some large, paper palm leaves found in my party supply stash. For this party we catered to the herbivores, but you could easily take care of the carnivores simply by adding meatballs, you know those things that also look like large boulders? The nacho volcano was a hit. It's made of refried beans, Tostitos Black Bean Dip, and Tostitos nacho cheese. You can find the instructions here. At the base of the volcano I added shredded lettuce and Tostitos scoops. Trees, that happen to be in the shape of broccoli, and carrots made a delicious, crunchy snack for the Triceratops. However, you can't have an edible tablescape and not have something sweet for Valentine's Day. Bloody bones (Halloween leftovers) from victims of the tar pit (chocolate pudding) have surfaced. The rocks scattering the landscape are actually chocolate! And they are so good! For a fun activity we chipped away at giant dinosaur eggs in order to excavate a mini dinosaur inside. You can find these Dig It Up Dinosaur Eggs from Mindware. If you have older kids who want more of a challenge they also have the Big Dig Dino Model. You excavate the dinosaur bones and assemble. We have done the T-Rex and were impressed with the high quality pieces. I hope you have a Dino Mite Valentine's Day!! !